D-Link, the industry pioneer in wireless networking,introduces another performance breakthrough in wireless connectivity — the D-Link AirPlus Xtreme G series of high-speed networking products capable of maximum wireless signal rate of up to 54Mbps1. The DI-824VUP features the latest in advanced wireless technology. It also includes D-Link’s own robust fi rewall security features. The DI-824VUP is ideal for those creating their fi rst wireless network, or for users looking for additional management settings and policy-based content fi ltering for their existing network. Filters can be set based on MAC address, IP address, URL and/or Domain Name. A simple yet intelligent, web-based setup wizard makes the DI-824VUP easy for any user to quickly and securely connect computers to share high-speed Internet connection, fi les, and other resources. To prevent unwanted Internet intruders from accessing your private network, the DI-824VUP serves as a feature-rich fi rewall through the use of fi lters. 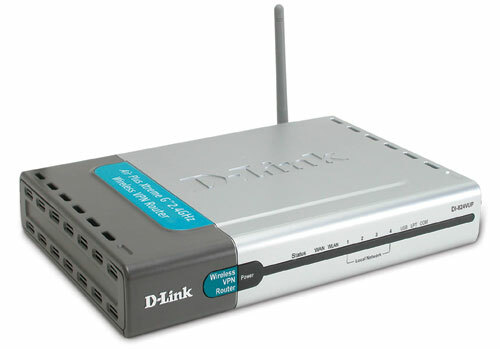 An integrated 4-port switch allows direct connection of up to four wired computers while several wireless clients can also securely connect to the network using 64, 128, or 256-bit WEP encryption. In addition, it also features a bi-directional parallel and USB printer ports to share multiple printers and also includes a print server application for Windows2. 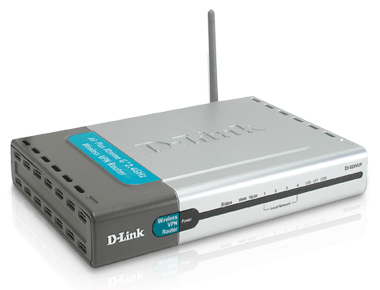 The D-Link AirPlus Xtreme G DI-824VUP is the ideal networking solution for remote sales personnel, fi eld representatives, satellite sales offi ces, telecommuters, and others who work remotely but still need secure access to a corporate network.